major CT Units (CSI, Foremost, HR, S&S and others). 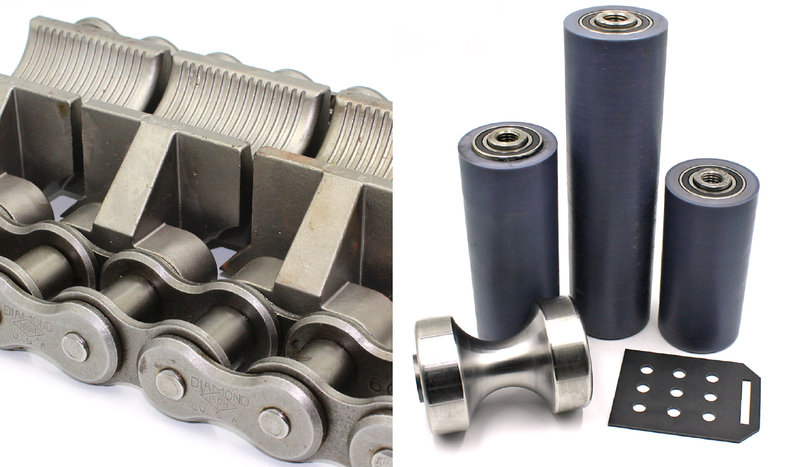 We provide complete assembly service on new chains as well as breakdown, measurement, qualification and rebuilding of used chains. 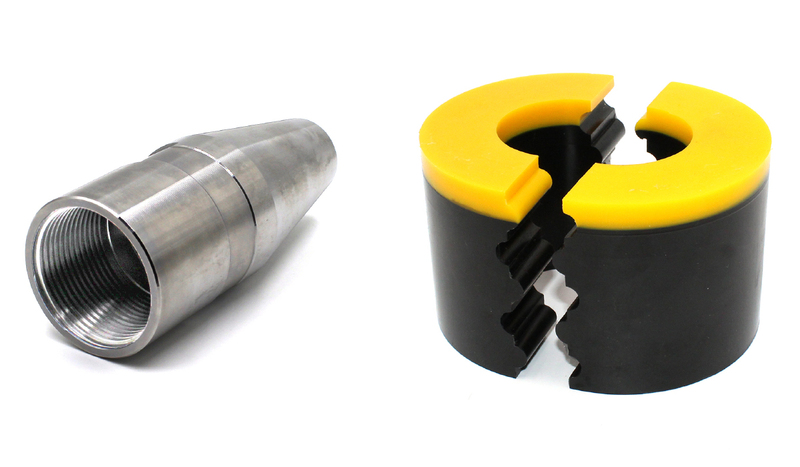 We also have a wide range of other standard and custom solutions including Packoff Strippers, Grapple Connectors, Carrier Blocks, Horsehead Rollers, Rabbit Ear Rollers and many others. We can assist with new custom applications and welcome the challenge to help you increase part life and reduce operating costs. We are proud to be USA Owned & Operated and offer USA Made parts only. Our parent company Boedeker Plastics, Inc. was established in 1984 and provides us a strong foundation for stability during the ups and downs of the Oil & Gas Industry. In addition to extending life of the original equipment manufacturer's components our injector head chain replacement kits and other parts are offered at lower cost. When you factor in the extended life of our parts and the lower part cost this adds up to significant savings and longer running time. 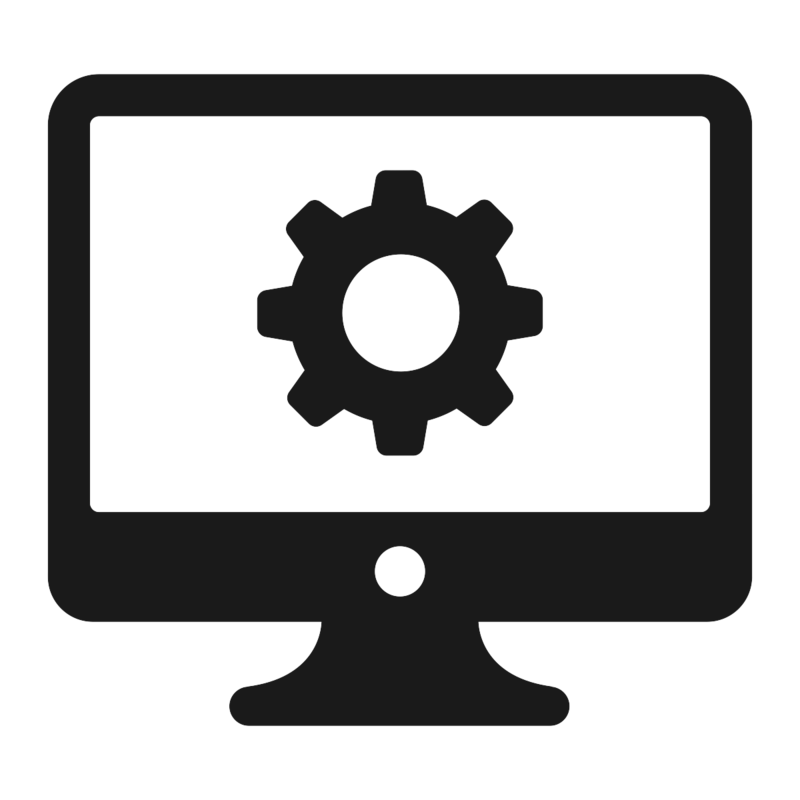 The reduced downtime and savings adds up to increased profits. Our staff focuses on coiled tubing applications and has has many years of experience in the Oil & Gas industry. We take pride in working with our customers and understanding their needs to provide the best long term solution. Our manufacturing, office personnel and technical field staff stand ready to assist with your coiled tubing applications. We provide high performance replacement parts for coiled tubing units that last longer and exceed the performance of OEM parts at a fraction of the price. All of the parts that we supply and manufacture are produced in the USA and are kept in stock for quick deliveries! As a stocking master distributor for Diamond Chain, we stock injector head chain kits for all major CT units. Diamond Chain is made in the USA and consistently provides a 20%+ longer chain life than the OEM chain. 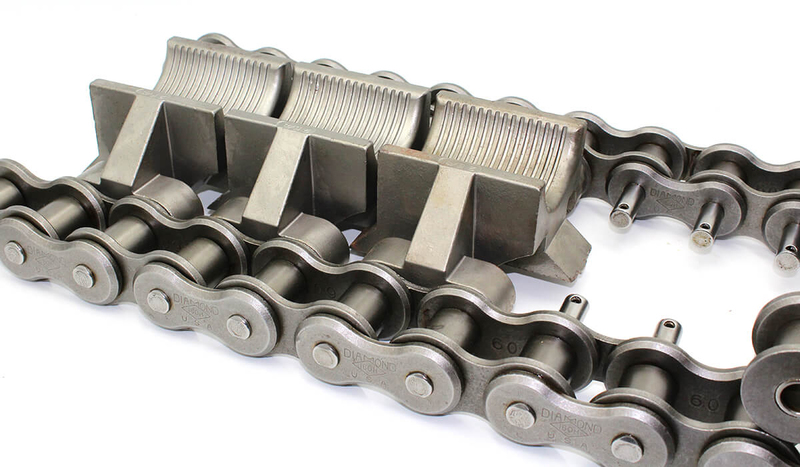 We provide complete assembly service on new chains as well as breakdown, measurement, qualification and rebuilding of used chains. Our manufacturing capabilities include precision machining and injection molding, we support prototype and production requirements. Our facility is ISO Certified and has over 80 CNC machines, state of the art CAD/CAM software, a full Engineering Support Staff, metrology lab and much more. Our Engineering staff can aid with material selection, part design, reverse engineering and much more.